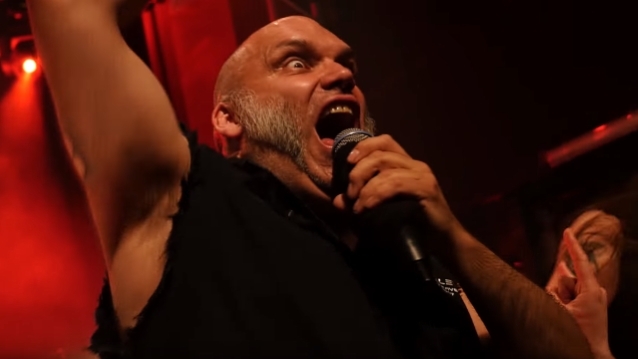 British heavy metal vocalist Blaze Bayley, who fronted IRON MAIDEN from 1994 until 1999, was interviewed by Rockfiend Publications Scotland on April 10 in Glasgow. You can now watch the chat below. Speaking about how he landed the MAIDEN gig a quarter century ago, Blaze said: "MAIDEN were holding auditions for the new singer. And I said, 'I'll have a go for it.' And I did. I think they had 1,500 demos that they had listened to, and then there were, like, the 12 disciples that were chosen for the audition. And I was lucky I was one of those 12. You went to the studio to sing live. There was 10 songs that were in the set at the time — 10 of the classics that you had to learn — and I went and I'd done my best. And I was very, very surprised that they chose me to be the singer, because my voice is so different to Bruce [Dickinson]. We did look a little bit alike, but our voices were radically different. But I think what it was they wanted a change, and the albums that I did, [1995's] 'The X Factor' and [1998's] 'Virtual XI', that was the real start of the progressive era of IRON MAIDEN, and I learned so much about songwriting and about my voice. And it was an incredible, incredible experience. The music that we came up with was just fantastic, I think." Bayley also talked about the songwriting process during his time with IRON MAIDEN. "They said at the start, 'There's nothing written for these albums, so it doesn't matter who writes it. It just has to be great,'" he recalled. "And that was it. So you get to rehearsals and talk about your idea. 'Well, maybe that's not so good.' 'Oh, yeah, that's really good.' And if it was good, it went on the album, and it didn't matter. So I had a few songs on the album. 'Man On The Edge' was something that I co-wrote with Janick Gers, and that went Top 10 around the world in the rock charts. It was a fantastic — absolutely fantastic — thing, with a big video and everything. It was unbelievable." Both "The X Factor" and "Virtual XI" sold considerably less than MAIDEN's prior releases and were their lowest-charting titles in their home country since 1981's "Killers". 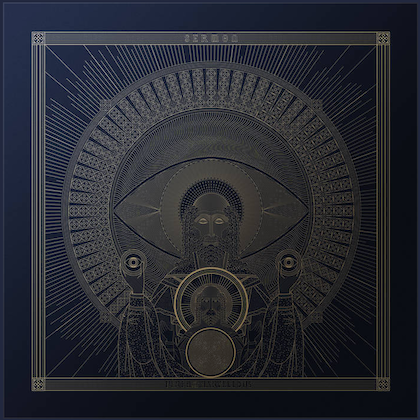 "Sign Of The Cross", the 11-minute opening track from "The X Factor", was performed during the group's "Legacy Of The Beast" European tour last year, the first time since 2011 that the song had been performed live. The tour also saw the band perform "The Clansman", a "Virtual XI" track inspired by Mel Gibson's 1995 film "Braveheart" that they had not played live since 2003. Since leaving IRON MAIDEN in 1999, Bayley has released a number of albums, including three under the moniker BLAZE and six under his own name. He also appeared on 2012's "Wolfsbane Saves The World", the first album of new material by WOLFSBANE since the group's self-titled 1994 effort. Blaze recently announced that he will play a special MAIDEN setlist at select festivals in 2019. Choosing songs from his era with the band, these shows will celebrate 25 years since Blaze joined IRON MAIDEN. This will be the first and last opportunity to see such a setlist. The band at these shows will be Blaze's regular touring and recording outfit taken from British band ABSOLVA, plus ICED EARTH bassist and ABSOLVA guitarist Luke Appleton.